Picture Framing Blog - A Good Frame of Mind: Nature, Untouched: Our American Hardwoods Collection. Nature, Untouched: Our American Hardwoods Collection. Part of being an artist is exercising restraint. It’s knowing when to put the brush down or understanding why you should leave your subject’s scars showing, rather than covering them up. So often, less is more. That’s a concept we embraced with our American Hardwoods collection. The beautiful details were already there: intricate grain patterns, gorgeous hues, and subtle color variations in a single piece of wood. All we had to do is leave them alone. We decided against unnecessary stains, paints, and anything else that would mask the beauty of the materials. 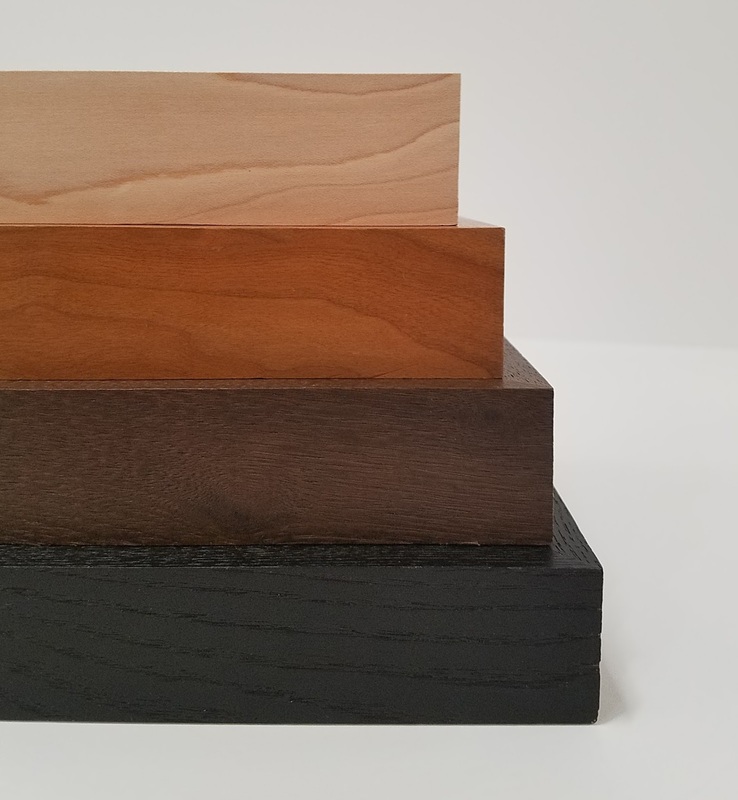 Some of the wood is aged or ebonized to highlight its innate characteristics, but, for the most part, we think Nature did a pretty good job on her own. Our customers agree. 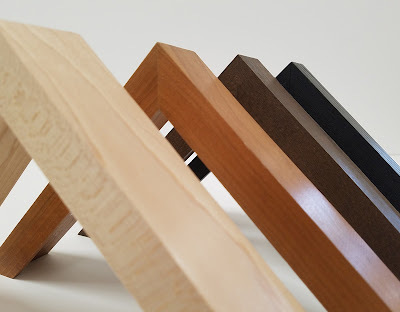 American Hardwoods have been among our best-selling frames since we introduced them in 2001. Artists love the way they let them bring the outside into their homes and galleries. That’s why they use them for everything from pen-and-paper drawings to canvas paintings. And there’s substance behind the style. Each frame is made of 100% solid wood from trees grown here in the United States. Understated maple, elegant walnut, rich cherry, and bold ash don’t just look great, they’re sturdy enough to last for decades. Another aspect of restraint is ensuring that we’re not harming the environment that produces the wood we need. American Hardwood frames are certified by the Forest Stewardship Council, meaning they’re sourced from responsibly managed forests that provide economic, environmental, and social benefits. 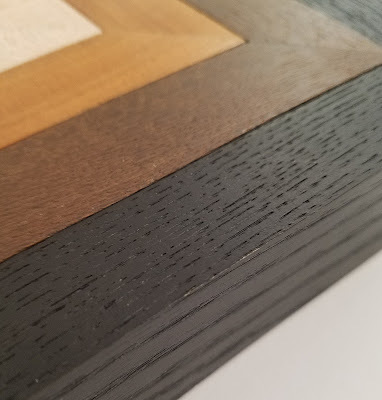 Our solid wood frames are versatile enough to fit seamlessly into any décor, and grand enough to lend a professional look to your art. They’re just as at home in a gallery setting as they are showcasing your family’s photograph in the living room. And since they’re available in small and large profiles, you’ll find the perfect size for your framing project. Wonderful updates, thanks a lot for it.